Posted by FTR ⋅ September 26, 2006Post a comment Email This Post Print This Post Tweet This! 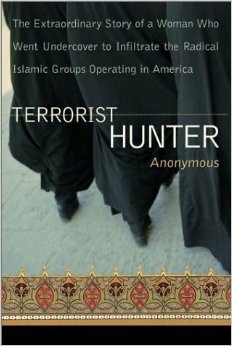 Introduction: Observing the fifth anniversary of the 9/11 attacks; this program highlights the heroic work of Rita Katz, a private citizen whose ground-breaking research on the terrorist-funding apparatus was first subverted, and then ignored. The targets of Katz’s research are connected to both the Muslim Brotherhood terrorist milieu of al-Qaeda, Hamas and Palestinian Islamic Jihad and to the upper echelons of the Republican Party and the Bush administration. Not surprisingly, the investigation of Ms. Katz, John Loftus and the agents of Operation Green Quest was actively neutralized by elements of the FBI and CIA. Among the most complex events in recent history, the 9/11 attacks have—understandably—been conceptualized as a provocation, designed to justify “U.S. imperialism” and the attenuation of democratic freedoms in this country. It is Mr. Emory’s view that the attacks are analogous to the subversion of France in World War II. The primary reason for the rapid capitulation of the French to the German invaders was the fact that the French power elite—who had strong business and political affiliations with their German counterparts—welcomed the German invasion as a vehicle for eliminating French democracy and instituting fascism in France. The French power elite benefited from their participation in the Third Reich’s wartime economy. It is Mr. Emory’s contention that the GOP power elite—with strong economic and political affiliations with the Underground Reich and the Saudi and Muslim Brotherhood Islamic fascists behind the 9/11 attacks—helped facilitate the attacks for similar purposes. Far from expanding American power, the attacks of 9/11 signaled the twilight of the United States, and the events that have followed will (barring a sea-change in the tide of events) lead to this country’s doom. To flesh out their understanding of the subversion of France prior to, and during, World War II, listeners should examine FTR#’s 372, 412 and 441. In addition, they should read Armies of Spies by Joseph Golomb and Triumph of Treason by Pierre Cot. Both books are available for free download. Program Highlights Include: Discussion of the profound connections between the targets of Operation Green Quest and Ptech—the company that developed the threat assessment software for the Air Force, the FAA and the Department of Energy; the confusion that reigned in U.S. air defense networks on 9/11; Operation Green Quest chief Michael Chertoff’s relationship with alleged al-Qaeda financier Dr. Magdy el-Amir; the investigation of Sami al-Arian and how it led to the Operation Green Quest raids of 3/20/2002; the harassment and surveillance of Rita Katz and her Green Quest associates by first the FBI and then the CIA. 1. Beginning with discussion of the response of air defense units to the 9/11 attacks, the program notes the evident confusion that the military experienced on that day. Mr. Emory notes that the threat assessment software architecture for the Air Force, FAA and Norad was developed by a company called Ptech. It is Mr. Emory’s view that the anomalous behavior of the air defense units on 9/11 may very well have resulted from the fact that the elements that launched the 9/11 attacks were also developing the software essential to this country’s air defense networks. Ptech has been capitalized to an enormous extent by individuals and institutions that have been focal points of Operation Green Quest—the attempt at interdicting terrorist money flows. As Mr. Emory notes, the milieu of Ptech is the milieu of Operation Green Quest.